Strawberry Cream Cannoli e-juice by Holy Cannoli is the flavour of a wonderfully sweet strawberry cream cannoli, topped with confectioner’s sugar. The dream come true flavour is offered in 100ml short filled e-liquid bottle. Holy Cannoli Strawberry Cream Cannoli e-liquid provides a luscious cannoli pastry on the inhale with sweet strawberries and milky cream on the exhale. It’s a different take on strawberries & cream, making you say Holy Cannoli. Have bought a few times before and is now a firm favourite. Really nice strawberry flavour with a light cannoli/pancake note. 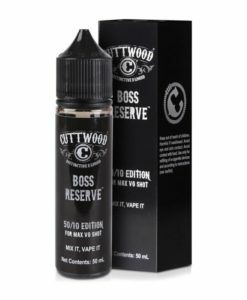 If your a desert juice lover, this is definitely one to try. Nice creamy strawberry juice. Enjoyable!